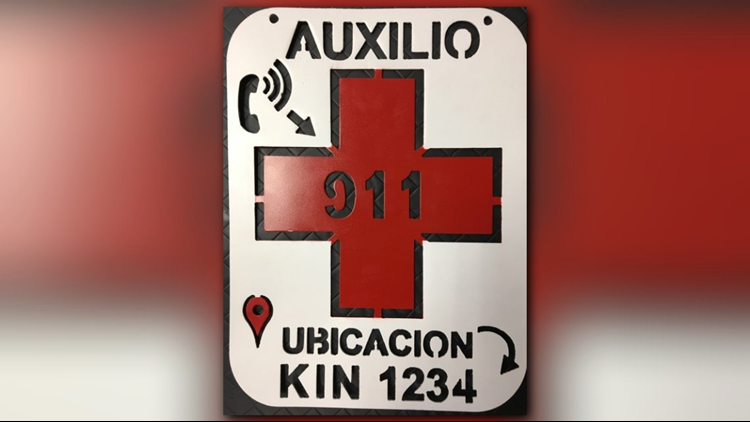 New rescue signs with GPS coordinates and 911 info have been placed across Texas ranches to serve as a lifeline for stranded migrants. Edinburg, Texas — A simple sign turned life-saver. The Rio Grande Valley sector of the U.S. Border Patrol has a new tool to help rescue stranded migrants who choose to walk the often-dangerous and deadly Texas ranch land. Crossing the border illegally in search for a better life can sometimes mean staring death in the face. But not for two Honduran brothers who, on the night of July 31, came across a 911 locator sign hanging from a fence line in rural Falfurrias, Texas. “They called 911 and they are alive today because of that,” said RGV Sector Chief Manuel Padilla. 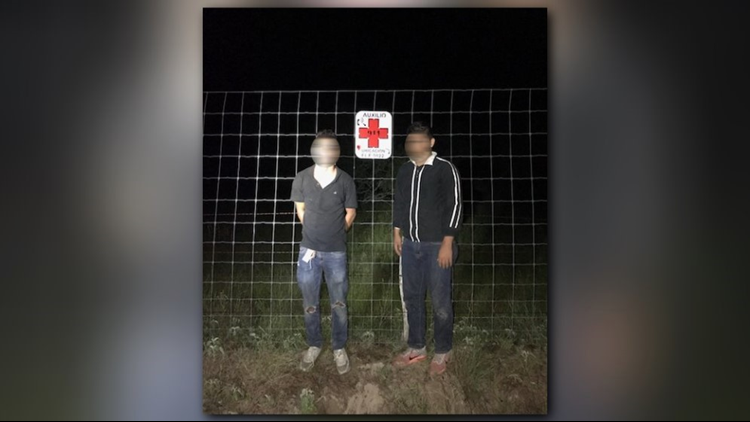 The U.S. Border Patrol says these two Honduran brothers were rescued in late July after coming across a 911 locator sign hanging from a fence line in rural Falfurrias, Texas. The placards, which have emergency numbers and GPS coordinates attached to them, are the latest tool in the Border Patrol’s Missing Migrant Program. Border Patrol said it has so far placed 99 of them around the checkpoints of Falfurrias and Kingsville, with hundreds more expected as the program is rolled out. The Rio Grande Valley sector of the U.S. Border Patrol has placed these placards on Texas ranch land to help rescue stranded migrants. Each one has emergency numbers and GPS coordinates. “We do an analysis of patterns where we have rescued people – and unfortunately where we have lost people – and so we prioritize based on those traffic trends,” Padilla explained. It’s in remote areas, in many cases private ranch lands, where Border Patrol plans to install the emergency placards. That way, once a stranded migrant places a call for help, they can immediately be located and rescued. “If we can reduce the time of response, a lot of times those extra 20 minutes to an hour, or two hours of searching means the difference between life and death,” explained Border Patrol Special Operations Acting Patrol Agent In Charge Jared Ashby. It's a message they also want relatives in the U.S. to understand. “We believe that the people paying for those trips are the people living here. They are the ones coming up with the money,” said Guatemalan Consul in McAllen, Cristy Andrino. So far this fiscal year, Border Patrol says they’ve rescued more than 1,400 people, compared to 154 last year. Since being introduced in July, the locator signs have saved the lives of the two stranded brothers.